Studies in recent years have found a link between diabetes and skin tags. These benign skin growths are also known as acrochordon or fibroepithelial polyps. They are considered harmless in that they don’t lead directly to health problems; although they may be damaging to self-esteem and confidence. Up to 50% of the population will experience them at least once during their life so this is definitely not a rare problem. There exact reason why skin tags occur is not fully understood, but we do have a fairly good understanding of what causes them or increases the risk of developing them. One of the contributing factors that have been identified as increasing the risk of getting acrochordon is diabetes. It is type 2 diabetes that has been viewed as increasing the risk of developing skin tags. 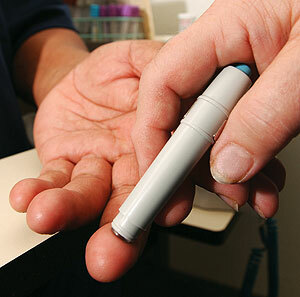 Type 2 diabetes is also referred to as adult-onset diabetes because it develops during adulthood. This form of diabetes is also one where it is not usually necessary to have insulin injections as the pancreas can still produce at least some of this hormone. In most cases those with type 2 diabetes will have their condition controlled with lifestyle changes and oral medication. The exact reason why insulin resistance leads to an increased risk of skin tags is not fully understood, but this is what studies are finding. In fact a recent study found that those who had been diagnosed with type 2 diabetes were almost 50% more likely to have skin tags. The fact that many people with this form of diabetes will also have tend to have problems with their weight may be a contributing factor, but there does also seem to be some type of other connection. Maybe in the future we will be able to understand what is occurring a bit better; although there does not seem to be any rush to investigate the connection – largely due to the fact that skin tags aren’t considered that big a medical problem. One interesting outcome of this connection though may be that the sudden appearance of skin tags may indicate undiagnosed type 2 diabetes in some people – it has to be said though that this will only account of a small number of instances. Dealing with skin tags caused by diabetes doesn’t have to be any different than skin tags that occur for other reasons. Some people will choose just to ignore them and in a lot of cases they will disappear after a bit of time. Other people though, will feel a bit self conscious about these growths on their skin and they will want to have them removed. Luckily there are some good treatments available to deal with the problem. If skin tags are making an individual’s life a bit uncomfortable then there is no reason why this situation has to continue. 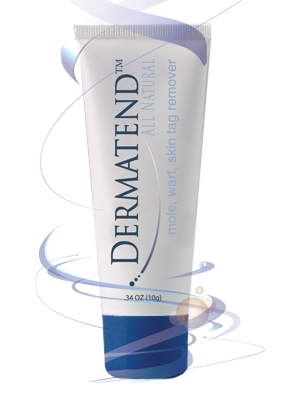 The solutions for skin tags don’t have to be dangerous or involve any pain.